A rare and extreme tsunami ripped across an Alaska fjord three years ago after 180 million tons of mountain rock fell into the water, driving a devastating wave that stripped shorelines of trees and reached heights over 600 feet, a large team of scientists documented Thursday. The October 2015 cataclysm in Taan Fiord in Southeast Alaska appears to have been the fourth highest tsunami recorded in the past century, and its origins - tied to the retreat of a glacier - suggest it’s the kind of event we may see more of due to a warming climate. 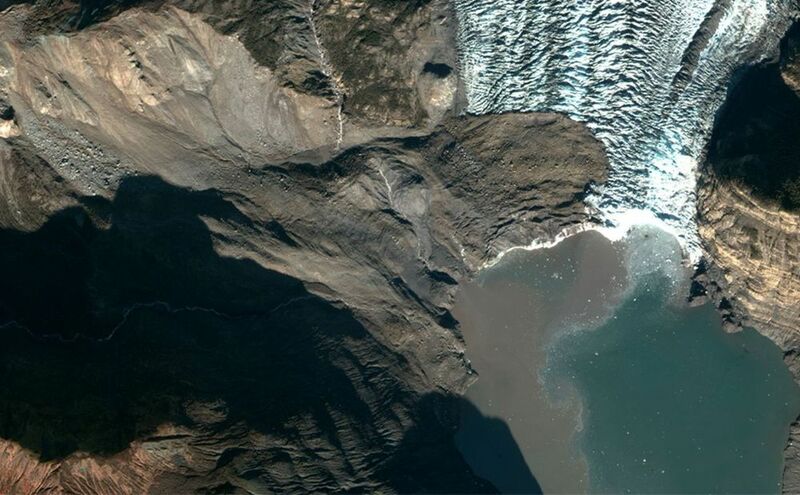 “More such landslides are likely to occur as mountain glaciers continue to shrink and alpine permafrost thaws,” the authors, led by geologist Bretwood Higman of Ground Truth Trekking, write in Nature Scientific Reports. “Thirty-odd, 40 years ago, Taan Fiord didn’t exist at all. It was filled with ice,” added Dan Shugar, a geoscientist at the University of Washington in Tacoma and another of the study’s 32 authors, who hail from institutions in the United States, Canada and Germany.